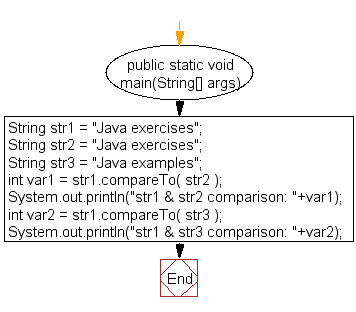 Write a Java program to compare two files lexicographically. In mathematics, the lexicographic or lexicographical order (also known as lexical order, dictionary order, alphabetical order or lexicographic(al) product) is a generalization of the way the alphabetical order of words is based on the alphabetical order of their component letters. This generalization consists primarily in defining a total order over the sequences (often called words in computer science) of elements of a finite totally ordered set, often called alphabet. Previous: Write a Java program to check if given pathname is a directory or a file. Next: Write a Java program to get last modified time of a file.